If you’ve been using the elemental diet shake I formulated – Absorb Plus – for any length of time, you’ll know that I am always on the lookout for ways to improve the product. Sometimes people are not too happy with me, because certain changes – like when I switched the maltodextrin to a non-GMO cassava maltodextrin – affect the taste or texture. But when they try it, and I explain the reasons why the changes will benefit their health, they’re pretty happy I’m looking out for them. Now let me tell you why I made those changes for some of the key ingredients – and yes, this changes the taste profile too! Keep in mind, that as Absorb Plus is a completely natural product, you’re going to get flavor variations from batch to batch anyway. If Imix gets the vanilla beans from a different region due to flooding or drought in their normal growing regions, the taste is going to be different. If it’s a different time of year and the cows are eating different types of grass or hay, then that too is going to affect taste. Depending on where Imix sources the tapioca (cassava) maltodextrin from, that can change the taste and texture too. As the formulator of Absorb Plus – and someone who has used it extensively myself – my goal is not to create a Coca-Cola type product; that reliably tastes exactly the same, no matter what. My goal is to create, tweak, and improve on the product to continually make sure it is the most effective and bioavailable. As research broadens, and extraction techniques improve, if I can get my readers a product that works even better, then that’s what I do. As you know, we need the entire B-complex of vitamins for our immune system. And Vitamin B9 (traditionally available as Folic Acid) is really important since most people with IBD tend towards anemia. And your body can’t produce hemoglobin without an adequate Vitamin B9 supply. Although I have seen some folate supplements state ‘folic acid’ on their label (and vice-versa) according to the Mayo Clinic the correct differentiation is that folic acid is the synthetic form of Vitamin B9 and folate is the natural form that occurs in food. The folate form of B9 is also better for your health. Imix legally (due to FDA requirements) has to state this form of folate on the label as: 5-methyltetrahydrofolic acid, glucosamine salt. This form of folate is really important since up to half of the population has one or more methylation defects, and a reduced capacity to convert folic acid into its active form. In those cases, MTHFR enzyme efficiency can drop by 30-70% and folic acid supplementation is then less effective. But the L-5-MTHF version of Vitamin B9 is effective for the entire population, and has additional benefits compared to folic acid; like a lower risk of masking B12 deficiency on blood tests, and reduced interaction with drugs that inhibit dihydrofolate reductase. Zinc glycinate has better absorption in the presence of phytates, and in all studies that compare the two, is better able to raise plasma zinc levels than zinc gluconate and zinc picolinate. Keep in mind that grains, nuts and legumes contain varying levels of phytates (a plant defense mechanism which blocks mineral absorption). In multiple animal species trials, copper glycinate has superior absorption among copper forms, because glycine (and some other amino acids) enhances the absorption and retention of copper ions. Pyridoxal (riboflavin) 5-phosphate is the bioactive form of riboflavin, which may be helpful/necessary for people with compromised digestive systems, who are taking certain medications, or who have genetic mutations/enzyme deficiencies that impact the body’s ability to convert riboflavin in to R5P. So as you can see, all of these new nutrient forms have to do with increasing absorption and utilization. Please know that as nutrition information increases and as new technologies and raw materials become available, I will always be seeking to formulate the highest quality natural products I can for my readers and my family. And I never stop experimenting and seeking to make things better! p.s. Did you know Absorb Plus is now available in Canada too? The formula is slightly different though, as Health Canada has different regulations from the FDA. But the same mission applies: I formulate to get the best ingredients for maximum absorption and utilization by the body, in each jurisdiction. ← LTYG Basic Dietary Guidelines – Which Diet is Right for You? I am so grateful for Absorb Plus. As someone with SIBO and diverticular disease I have been using it off and on for the past 3 years. I go through periods where digesting food is to painful. A few days to as long as a month on Absorb Plus seems to help reset things. People feel sorry that I cannot eat but I tell them I’m getting the nutrition I need in a healthy way, and to be honest, the less I eat the better I feel. Thanks for this life saving product. Love the taste and convenience. I recently was advised by my doctor that I am allergic to dairy. I’ve used Absorb Plus for few years during my diverticulosis and IBS Flareups. I love it! Now, with SIBO and dairy allergy, I am concerned. I am truly impressed with the improvements made to the Absorb products. Please advise about the dairy and also if it is good for SIBO. Thank you. Thank you for contacting us here. 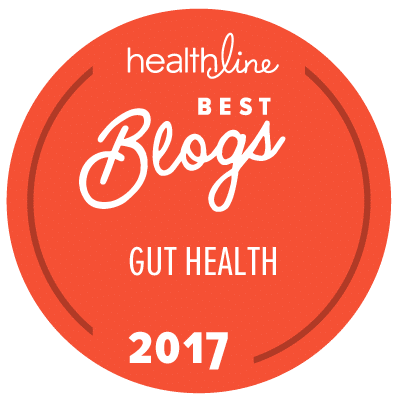 There is clinical trial evidence that a 14-day elemental diet is “highly effective” with an 80 – 84% success at eradicating small intestinal bacterial overgrowth (SIBO) because: “Elemental diets have been shown to reduce enteric flora.”. Dr. Alison Siebecker has a lot of great information about SIBO and appropriate treatments and here is her info page on SIBO and elemental diets. Regarding dairy, majority of people with a milk allergy are allergic to either lactose, or a dominant milk protein called casein. Cow’s milk is composed of 80% casein and 20% whey. Absorb Plus is 99.8% lactose free and does not contain any casein. The protein component of Absorb Plus is a natural, cold-extracted whey protein isolate – ALL of the casein has been removed. Therefore, Absorb Plus may be safe and well tolerated even by those with a ‘milk allergy’ – as we’ve removed the commonly allergenic components. I have 2 children with chrohns disease and bought absorb plus to help them get the nutrients they need, however, they both struggle with taking it because of the taste. Is it ok to blend it with something else, like ice cream, and still reap thre benefits? I’m open to any suggestions to help them overcome the taste and texture. Thank you. Karlene, if you mix the shakes with other foods (like ice cream, banana etc) then the shakes are no longer elemental. But clinical trials have still shown good results from a Half-Elemental diet. So you could test it and see. I used Absorb Plus exclusively throughout my second pregnancy as I had a bowel perforation and stricture. I would like to ask if this product has been through any controlled trials? I believe it saved my life and my now almost one year olds life. I would follow a 50/50 liquid diet if it was financially viable, however at this time it is just not possible. I have tried alternative shakes, however have not found anything I can tolerate as well, tastes as good and provides the nutrition I need. If there were trials carried out this product could be made available on the NHS and help so many people who do not stick to the liquid diets currently available due to intolerance and tasting awful! This is an amazing product – I just wish more consultants were aware of it and promoted the benefits of a liquid diet to their patients giving them an alternative to harmful drugs and surgery. Having now had 2 thirds of my bowel removed (unfortunately I was unable to avoid surgery), however I was able to have a natural birth, breastfeed my baby and postpone the surgery for 3.5 months due to Absorb Plus. Hi – i noticed that there are several new flavors that are showing up on the Absorbplus.com webstite. When will they actually show up on the ListentoYourGut webstite to purchase? New flavors are Banana Coconut Creme, Caramel Toffee Twist, Mocha Grande. We are expecting to have the new flavors available for purchase from our shop hopefully by next week. If I was diagnosed as diary intolerant and desperately need to rest my digestion and better absorb nutrients, how do I justify using Absorb Plus with whey? Can I still use it? Thank you for contacting us here. The majority of people with a milk allergy are allergic to either lactose, or a dominant milk protein called casein. Cow’s milk is composed of 80% casein and 20% whey. Absorb Plus is 99.8% lactose free and does not contain any casein. The protein component of Absorb Plus is a natural, cold-extracted whey protein isolate – ALL of the casein has been removed. Therefore, Absorb Plus may be safe and well tolerated even by those with a ‘milk allergy’ – as we’ve removed the commonly allergenic components. Please test a small amount first by ordering the 100g sample size containers here. Your other option, if you cannot tolerate whey protein isolate or need to avoid this ingredient, is to use a vegan elemental shake. We have put together these Vegan Elemental Diet Kits specifically for that purpose. Does anyone else experience extreme gut pain, cramping, and diarrhea each time they take this? I am at the end of day 8 on the IBD Remission Diet and it doesn’t seem to matter whether it’s 2, 3 or 4 scoops, oil added or not, almost every shake is followed by pain. Doesn’t matter how slow I drink it either or with ice or not. This is so incredibly hard, so, so, SO painful… wish there was a support forum where I could talk to others on this protocol. Sorry to hear about this. According to Jini, absorb Plus or other elemental shakes will produce marked changes in stool and bowel movements because elemental shakes (like Absorb Plus) are completely pre-digested food sources (just like breastmilk is). Therefore, whilst consuming it, you will have mushy or liquid bowel movements – they may feel and look like diarrhea, but they actually are not – there is no loss of nutrients or electrolytes – they are just reflecting the liquid nature of the food source. Think of how a breastfed baby receives premium quality nutrition, yet has up 7 or 8 liquid bowel movements per day. The same thing is happening here. – Drink the elemental shakes at room temperature. If they are cold, it can increase the amount of bloating. – Make sure you are doing Jini’s Wild Oregano Oil Protocol at the same time, as your bowel issues may be caused by Candida overgrowth, or bad bacteria. – Take Natren brand probiotics whilst consuming the shakes, this can often reduce the urgency and liquidity of bowel movements. Powders only if you are having frequent bowel movements. Can we use it for cancer patient who has stopped eating altogether? Yes, You can use Absorb Plus when you have difficulty eating – as a nutritious, high protein elemental liquid diet – or you can use it to replace certain meals, while still eating your regular foods. We strongly advise you purchase a few Sample sizes of Absorb Plus, before buying the volume needed to do a full elemental diet. This will allow you to check for allergies or intolerance to any of the ingredients. CLICK HERE to order Single Serving Samples.